There are several free Memorial Websites. Memorial websites are a beautiful way to honor your loved one. To allow you to showcase how special and truly unique they were. 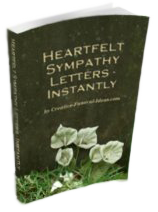 You can personalize them with eulogies, condolences, candles, photos, music and poems. These websites are a permanent way to share memories with family and friends from anywhere in the world. Memorial websites allow you to write the life story of your loved one. You can highlight major events and experiences. Friends and family can leave messages and prayers of love. You can upload photos to share. Often they allow you to host a certain number of audio and video clips. Guests can visit and light virtual candles with short notes attached . You can link generations together and explore their ancestry through a family tree. The following are two of our favorite memorial websites. Memory-of.com Memorial Website. It takes approximately two minutes to create the basics of the Memorial Website. After that, you can continue to add and edit content at any time. Visitors to the Memorial Website can add content, such as tributes or candles, but you will have the sole ability to alter or remove anything that is added, as well as the ability to block anyone you don't wish to visit the website. Memory-of.com also allows you to turn your memory site into a book. Each Memorial Website is assigned a unique internet address which includes the deceased’s name (john-smith.memory-of.com, for example). Once you create a Memorial Website, share its address with family and friends so they can access it directly. 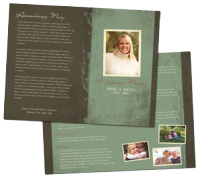 Christian Memorials offers a Christian forum for remembering your loved one or for the purpose of encouraging and edifying others in the Christian faith. Private or public websites are available. 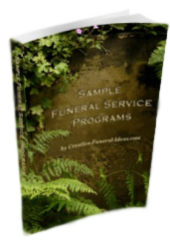 They also offer free online obituaries for a simple remembrance.